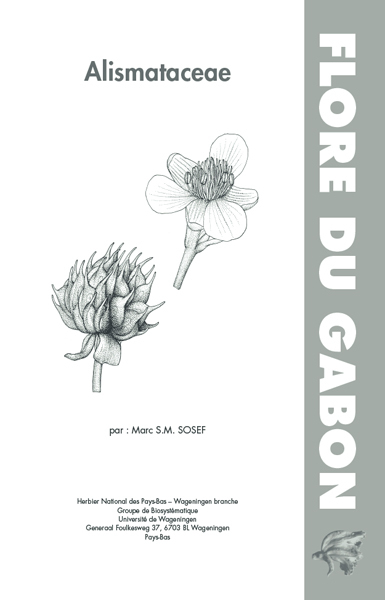 The Flore du Gabon series provides access to the information on the botanical wealth of this central African country, reputedly harbouring the richest lowland rain forest in Africa. The series was started in 1961 by the Muséum national d’Histoire naturelle (MNHN) in Paris and until 2004 no less than 37 volumes were published dealing with about 80 families and over 2200 species. In 2009, a new editorial team composed of Prof.dr. Marc S.M. Sosef (NHN-Wageningen branch), Dr. Jacques Florence (antenne IRD at MNHN), Dr. Ludovic Ngok Banak (CENAREST-IRET, Gabon) and Dr. Henri-Paul Bourobou Bourobou (CENAREST-Herbier National du Gabon) was formed. They developed a new and more concise format and invited many authors to contribute. The response to these invitations was overwhelming, and renders the goal to finish the series within 10 years highly feasible. Until 2018 no less than 105 different families comprising almost 3000 species need to be dealt with; a true challenge.The first volume published under the supervision of the new editorial team, volume 38, will contain the treatments of 10 smaller families. 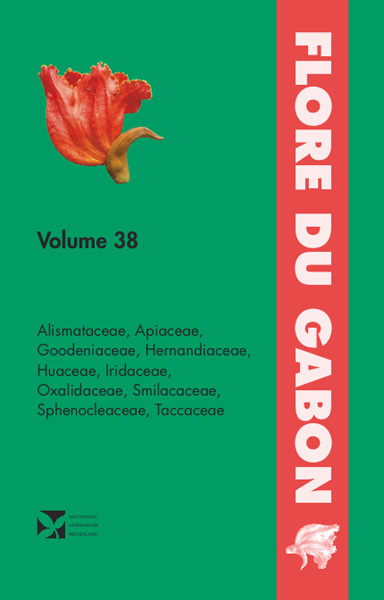 We are very pleased to see that this is the first volume to which Gabonese authors contribute; proof of the steady development of botanical capacity within the country. Manuscripts on families like Begoniaceae, part of the Rubiaceae, Lecythidaceae, and several smaller ones are in advanced stages of preparation, again with contributions from Gabonese authors. The delivery of several more manuscripts in 2009 has been promised, while targeted funding was received to realize the treatments on Cyperaceae and half of the Euphorbiaceae. From now on, we expect to publish 2 or 3 volumes each year, in order to keep up a steady and high pace of production.With 11% of all plant species being endemic to the country and some 80% of its surface being covered with a highly diverse lowland rain forest, Gabon is a botanical paradise and biodiversity hotspot. Over 10% of its surface is under protection, which renders this politically stabile country a Mecca for conservationists, ecotourism and scientists. For an effective management, but also a wise and sustainable use of this unique diversity, we need to be able to simply identify the plants that play an important role in the vegetation, be it as food for gorillas, birds, etc., as medicine, nutrition or timber, or just as one of these essential elements of the ecological network. 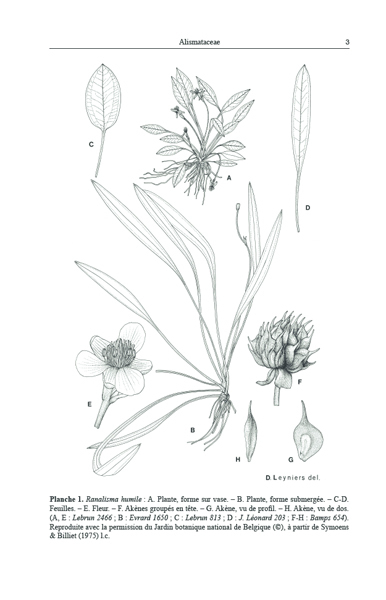 The Flore du Gabon provides the essential tools for reliable identification, its editors stressing the need for simple and straightforward identification keys, diagnostic descriptions and clarifying illustrations. As such, it hopes to assist researchers, foresters and conservationists alike and to contribute to the survival of Gabon’s unique biodiversity.